One of the things I love about blogging is that it widens my circle of friends so much…and I get to virtually visit many more homes during the Christmas season. This year, I’ve seen lots of homes decorated in lovely winter whites and traditional reds and greens. What I can’t get enough of, though, are the pictures I’m seeing of halls that are decked in less less traditional color schemes. They’ve inspired me to break the mold with my own decor, this year. 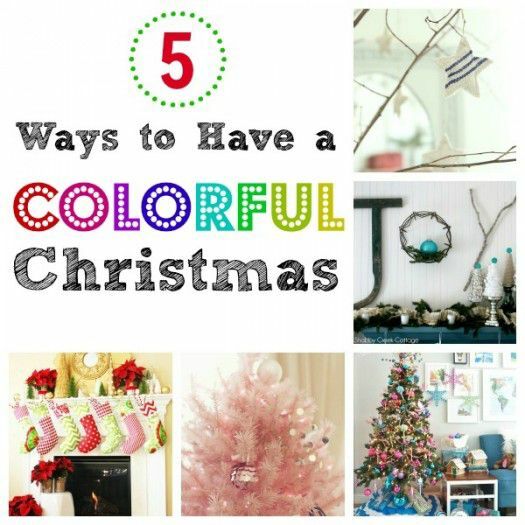 Today I’m sharing 5 Ways to Have a Colorful Christmas.